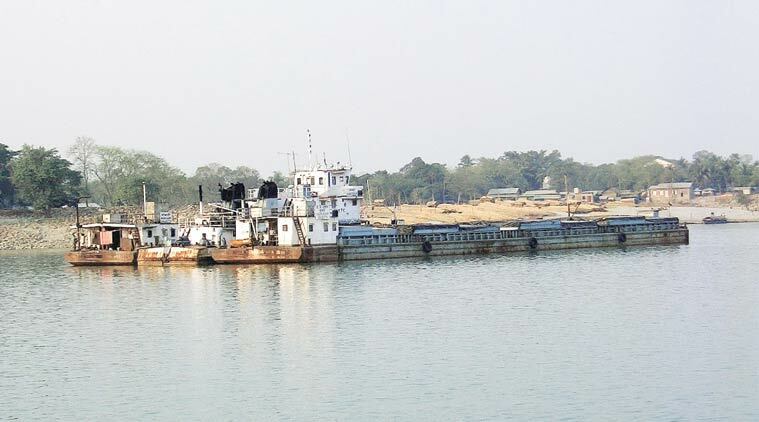 To increase the Fly Ash utilization, NTPC along with team of Inland Waterways Authority of India (IWAI), Ministry of Shipping, Government of India explored the possibility for transporting fly ash through Inland Waterways from NTPC- Kahalgaon. Sustainable Fly Ash utilisation is one of the key initiative at NTPC. There is a huge demand for Fly Ash but due to the limitation of transporting it through only railway system, not enough can be utilised. Transporting the Fly Ash through Inland waterways has been commenced as a pilot project from NTPC Kahalgaon to Pandu (In Assam) for use in cement manufacturing. For this pilot project, first mile activity of bagging and loading of Fly Ash into barges will be done by NTPC and cost of transportation will be taken care by IWAI and Star cement. The first load of Fly Ash has already been loaded by NTPC Kahalgaon after IWAI moved its barges vessel from Kolkata to Kahalgaon and two barge vessels of 1000 tonne capacity each reached Kahalgaon on 17 August, 2018. The vessels will go to Pandu port through National waterway and via IBP (Indo-Bangla) route. Fly Ash is being regularly transported in 40 kg bags through Indian Railway wagons to cement plants located in North East states from NTPC-Kahalgaon. There is a huge demand for Fly Ash in this region, but due limitation of availability of railway rakes and route congestion, only 15-22 rakes per month are being dispatched from NTPC Kahalgaon plant as against the potential of about 30 rakes per month. This initiative shall enhance and give impetus to the utilization of Fly Ash.